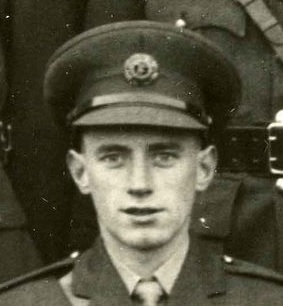 ARCO regrets to inform its members of the death of Lieutenant Colonel Micheál (Mick) MacAogáin, a member of 27 Cadet Class (1953-1954), of Kilrane, County Wexford on October 3rd, 2018. Peacefully, after a short illness. Sadly missed by his loving wife of sixty-one years Deirdre (Derry), sons Conor, Michael, Donal, Shane and Daragh, sisters Delma, Emer and brother Brendán, daughters-in-law Nora, Bernie, Petra, Brenda and Cathy, adoring Dan Dan to grandchildren Aisling, Kerrie, Rachel, Neil, David, Shauna, Aisling, Liadh, Sean, Niamh, Cian, Liam. Conor and Kate. Reposing at his son Michael’s house, Boher, Kilrane on Friday from 4pm until 8pm. Funeral Mass on Saturday at 11am in St. Ruane’s Church, Kilrane, followed by cremation in Mount Jerome Crematorium at 3pm. No flowers please.